There is a sweet and natural affinity between the soft sunset blush of early summer apricots and the homespun State-Fair-Blue-Ribbon pride of corn. Maybe it has something to do with long full days of bright sun, a labor-intensive harvest and our wholehearted ritual of indulging in the season’s bright splash of sumptuous colors and flavors. Apricots are my ideal baking partner and this easy breezy tart really maximizes their lusciousness as they bask in the company of their adoring admirer, cornmeal. These two pair so harmoniously I can't help but conspire in their brief rendezvous every year. These apricots are first bathed in a little sugar, vanilla and cinnamon to coax along some juices that bake into fruity puckers of bright acidity once they are ensconced in the tart. 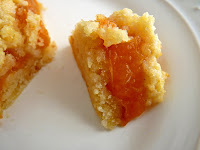 The little burst of cornmeal has just a slight crunch and all the rustic flavor but is not too dense or grainy. It almost begs for an embroidered tablecloth. This time my immersion into the intersection of the cornfield and the apricot orchard has produced a beauty. I know I’ve waxed on and on about my love for apricots each and every season and I have to say, this is one of my favorite pastries to emerge from my studio. So now it’s your turn. Please, do tell: what are your favorite pastries that you seek out each year? - Combine first 3 ingredients in a large saucepan, bring mixture to a boil. Reduce heat, and simmer 30 minutes. Drain well. - Unroll pie crust, and press out fold lines. Fit into bottom and up sides of a 9-inch tart pan, sprinkle with 1 teaspoon flour. Spoon fruit mixture into prepared pastry shell. 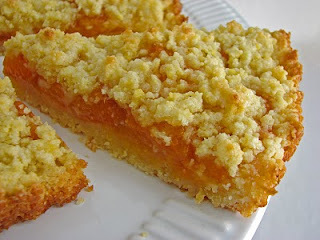 - Combine 1/2 cup flour and 1/2 cup sugar, cut in butter with pastry blender until mixture is crumby. Sprinkle mixture over tart. 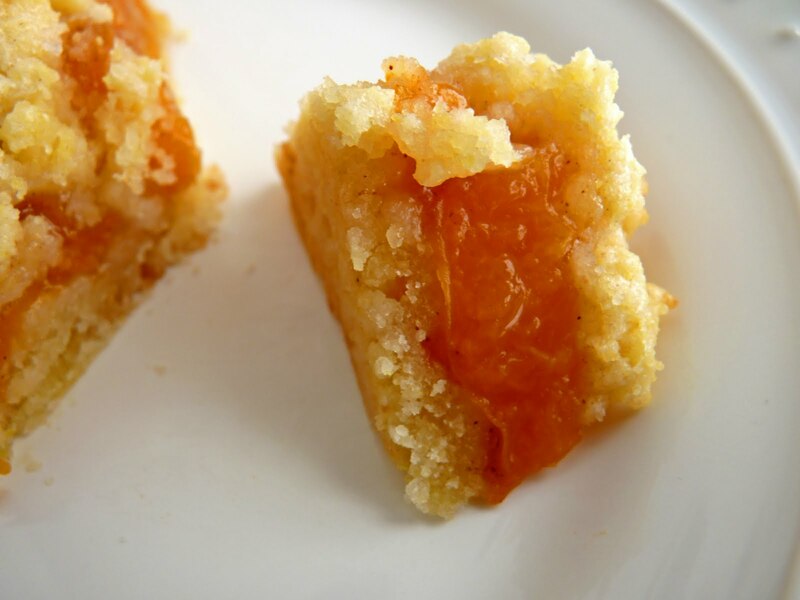 * 1 (6-ounce) package dried apricot halves may be substituted for a tarter dessert.